UCD offers three scholarship programmes to help students compete at the highest level while simultaneously attaining a degree from the University. Each programme offers supports, facilities and services to students to help them through their sport and study. Incoming or returning UCD Boat Club members who are performing at a high level within the sport are welcome to apply for these programmes. 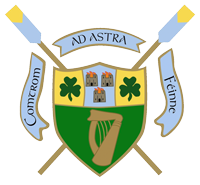 Joining UCDBC and applying to the Ad Astra Academy was undoubtably the most pivotal decision in my life. For the rest of my career I will be glad I joined. I am delighted to consider myself part of the UCDBC and Ad Astra family. Without them I would not be where I am today. UCD is the place to go to make the step up from junior to under 23. 7 U23 World medals for UCD athletes in the last 2 years. Great coaches, great squad and getting stronger every year. Applications are made online via UCD’s SISWeb. UCD Innovation video, Innovation in Sports at University College Dublin. “….there is a great buzz about the place…” In this UCD Innovation video, UCD medical student Dora Gorman and UCD physiotherapy student David Campbell, both UCD Ad Astra Elite Sport scholars, speak of the advantages of participating on the UCD Ad Astra programme.